In 1844 502 people lived in the parish of Felixstowe. 907 resided next door in Walton. Felixstowe is now the largest container port in the UK. It also has low unemployment, not only below the average for the UK but also the prosperous South East. Economics and geography help explain how Felixstowe came to eclipse northern Liverpool as a seaport. But the priorities of Government also played a part. While Felixstowe prospered, the Government of Thatcher considered whether it could make Liverpool disappear. I was introduced to my first posh family in Felixstowe. The expected scope for satire was limited. They were civilised, and so was I. The daughter was not so civilised but indulged by mother and father. Back then working class Merseysiders qualified as exotica, and we all survived. Much more exotic was Felixstowe man, T E Lawrence, author of the essential Seven Pillars Of Wisdom and a true existential hero. Sir John Mills was also from Felixstowe. He was less heroic but also treasured for stubborn British phlegm. He lived until he was 97 years old. If the phlegm dried in his final years, no one commented. The Development Plan of Felixstowe identifies three areas for economic well being. These are the port, tourism and, the great British favourite, retail. Felixstowe has a coastline, a two hour train service to London and a town centre that mixes affluent village appeal and commercial development. Since 1896 the percentage of the UK electoral vote that is Conservative has remained constant. Political change in the UK has been the consequence of the changing alignments of the opponents of the Conservatives. The Conservative vote has reduced in the North and Scotland but in the South the Conservatives remain popular in the areas where they have always had appeal. Visit Felixstowe, and it makes sense. Life is quiet, hard work is rewarded, and only the self-destructive worry about feeding their families. Providing you know your place, happiness is promised. Welcome to the sedate south and Disney for adults. The 16th Century Landguard Fort, which is now claimed as a Felixstowe museum, was built to protect Harwich. In the Second World War thousands of hydrogen balloons were launched from the Fort. The balloons carried incendiaries and trailing wires. Felixstowe Pier was truncated in the same War because the Army feared that it would provide an easy landing stage. It also prevented uniformed Germans being tempted by slot machines and fairground rides. Today giant tankers sail past the still reduced pier. Weary pensioners watch from promenade benches and eat strawberry ice cream. As in many seaside towns, the locals are busy and organised. Communal identity and minority interest coexist but Felixstowe does not encourage the esoteric. Apart from the light hearted The 39 Steps the repertory of the Spa Pavilion is nothing but musicals. 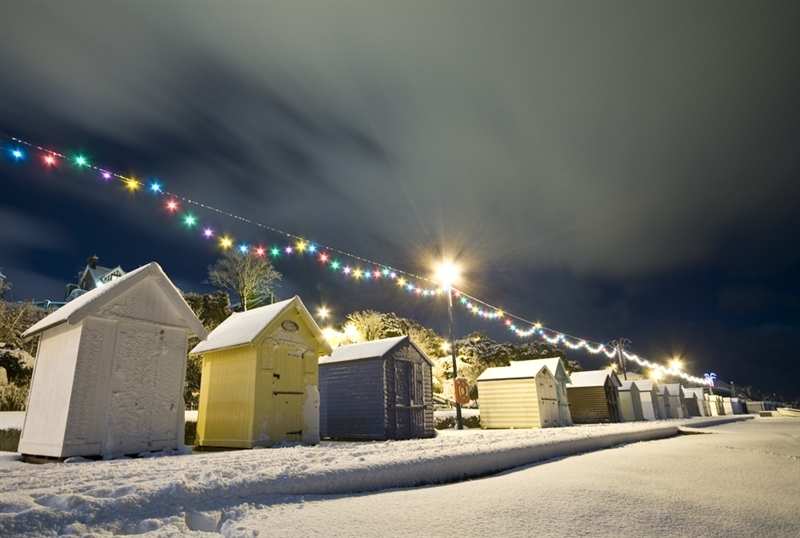 Peace and quiet, though, can be found in Felixstowe. 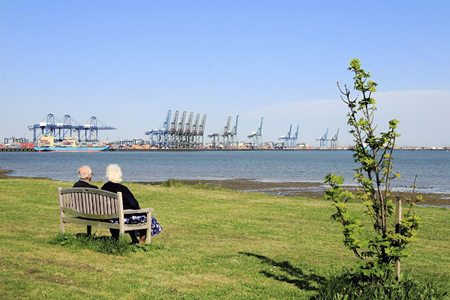 The four mile circular walk around Felixstowe has inevitable glimpses of docks, cranes and containers but soon steps into Suffolk countryside. An afternoon tea cruise can be booked on the River Orwell but it requires a trip to Harwich. Worth it, though, to eat cucumber sandwiches and view the river that inspired the great writer Eric Blair to change his name to George Orwell. Next week, wee hard men and redheaded women, Glasgow. Howard Jackson has had three books published by Red Rattle Books. His 11,000 mile journey around Brazil is described in Innocent Mosquitoes. His fourth book and new compilation of horror stories is called Nightmares Ahead. It will be published by Red Rattle Books next week. Posted in Conservative Party UK, Felixstowe, Felixstowe Pier, George Orwell, Landguard Felixstowe, Lawrence Of Arabia, Liverpool, Margaret Thtacher, Port of Felixstowe, Seven Pillars Of Wisdom, Sir John Mills, Spa Pavilion Felixstowe, Suffolk, The 39 Steps, Walton and tagged Culture, politics, tourism, UK history, Walking on May 1, 2015 by Howard Jackson.